What is 2009 H1N1 (swine flu)? 2009 H1N1 (sometimes called “swine flu”) is a new influenza virus causing illness in people. This new virus was first detected in people in the United States in April 2009. This virus is spreading from person-to-person worldwide, probably in much the same way that regular seasonal influenza viruses spread. On June 11, 2009, the World Health Organization (WHO) declared that a pandemic of 2009 H1N1 flu was underway. Why is the 2009 H1N1 virus sometimes called “swine flu”? This virus was originally referred to as “swine flu” because laboratory testing showed that many of the genes in the virus were very similar to influenza viruses that normally occur in pigs (swine) in North America. But further study has shown that the 2009 H1N1 is very different from what normally circulates in North American pigs. It has two genes from flu viruses that normally circulate in pigs in Europe and Asia and bird (avian) genes and human genes. Scientists call this a “quadruple reassortant” virus. Is the 2009 H1N1 virus contagious? The 2009 H1N1 virus is contagious and is spreading from human to human. How does the 2009 H1N1 virus spread? Spread of the 2009 H1N1 virus is thought to occur in the same way that seasonal flu spreads. Flu viruses are spread mainly from person to person through coughing, sneezing or talking by people with influenza. Sometimes people may become infected by touching something – such as a surface or object – with flu viruses on it and then touching their mouth or nose. Can I get 2009 H1N1 more than once? Influenza tests can occasionally give false positive and false negative results so it’s possible that one of the test results were incorrect. This is more likely to happen when the diagnosis is made with the rapid flu tests. More information about flu diagnosis is available. The symptoms of 2009 H1N1 flu virus in people include fever, cough, sore throat, runny or stuffy nose, body aches, headache, chills and fatigue. Some people may have vomiting and diarrhea. People may be infected with the flu, including 2009 H1N1 and have respiratory symptoms without a fever. Severe illnesses and deaths have occurred as a result of illness associated with this virus. Illness with 2009 H1N1 virus has ranged from mild to severe. While most people who have been sick have recovered without needing medical treatment, hospitalizations and deaths from infection with this virus have occurred. In seasonal flu, certain people are at “high risk” of serious complications. This includes people 65 years and older, children younger than five years old, pregnant women, and people of any age with certain chronic medical conditions. More than 70 percent of adults who have been hospitalized with the 2009 H1N1 virus have had one or more medical conditions previously recognized as placing people at “higher risk” of serious seasonal flu-related complications. This includes pregnancy, diabetes, heart disease, asthma and kidney disease. In one study, fifty-seven percent of children who had been hospitalized as a result of 2009 H1N1 have had one or more “higher risk” medical conditions. Young children are also at high risk of serious complications from 2009 H1N1, just as they are from seasonal flu. And while people 65 and older are less likely to be infected with 2009 H1N1 flu, if they get sick, they are also at “high risk” of developing serious complications from their illness. CDC laboratory studies have shown that no children and very few adults younger than 60 years old have existing antibody to the 2009 H1N1 flu virus; however, about one-third of adults older than 60 may have antibodies against this virus. It is unknown how much, if any, protection may be afforded against 2009 H1N1 flu by any existing antibody. Who is at higher risk from serious 2009 H1N1 related complications? Most people who get the flu (either seasonal or 2009 H1N1) will have mild illness, will not need medical care or antiviral drugs, and will recover in less than two weeks. Some people, however, are more likely to get flu complications that result in being hospitalized and occasionally result in death. Pneumonia, bronchitis, sinus infections and ear infections are examples of flu-related complications. The flu can also make chronic health problems worse. For example, people with asthma may experience asthma attacks while they have the flu, and people with chronic congestive heart failure may have worsening of this condition that is triggered by the flu. The list below includes the groups of people more likely to get flu-related complications if they get sick from influenza. In addition, some studies have shown that obese persons (body mass index ≥30) and particularly morbidly obese persons (body mass index ≥40) are at higher risk, perhaps because they have one of the higher risk conditions above but do not realize it. Flu seasons vary in terms of timing, duration and severity. Seasonal influenza can cause mild to severe illness, and at times can lead to death. Each year, in the United States, on average 36,000 people die from flu-related complications and more than 200,000 people are hospitalized from flu-related causes. Of those hospitalized, 20,000 are children younger than 5 years old. More than 90% of deaths and about 60 percent of hospitalization occur in people older than 65. CDC estimates of the numbers of 2009 H1N1 cases, hospitalizations and deaths are that people younger than 65 years of age are more severely affected by 2009 H1N1 flu relative to people 65 and older compared with seasonal flu. CDC estimates that with 2009 H1N1, approximately 90% of hospitalizations and 88% of estimated deaths from April through December 12, 2009 occurred in people younger than 65 years old. However, because severe illness and deaths have occurred among people 65 and older and because supplies of 2009 H1N1 vaccine have increased dramatically, CDC is now encouraging all people 6 months and older, including people older than 65, to get vaccinated against 2009 H1N1. People infected with seasonal and 2009 H1N1 flu shed virus and may be able to infect others from 1 day before getting sick to 5 to 7 days after. This can be longer in some people, especially children and people with weakened immune systems and in people infected with 2009 H1N1 viruses. This season, there is a seasonal flu vaccine to protect against seasonal flu viruses and a 2009 H1N1 vaccine to protect against the 2009 H1N1 influenza virus (sometimes called “swine flu”). A flu vaccine is by far the most important step in protecting against flu infection. For information about the 2009 H1N1 vaccines, visit H1N1 Flu Vaccination Resources. For information about seasonal influenza vaccines, visit Preventing Seasonal Flu With Vaccination. There are also everyday actions that can help prevent the spread of germs that cause respiratory illnesses like the flu. Be prepared in case you get sick and need to stay home for a week or so; a supply of over-the-counter medicines, alcohol-based hand rubs (for when soap and water are not available), tissues and other related items could help you to avoid the need to make trips out in public while you are sick and contagious. 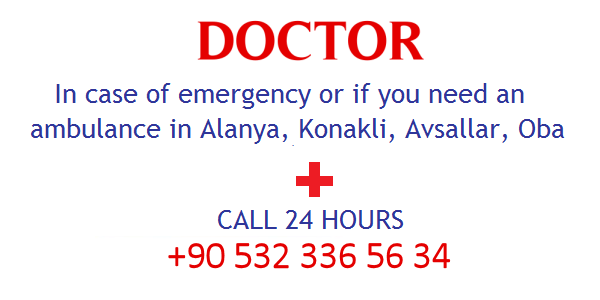 If you are sick with flu-like illness, your doctor in Avsallar, Oba , Alanya recommends that you stay home for at least 24 hours after your fever is gone except to get medical care or for other necessities. Keep away from others as much as possible. Cover your mouth and nose with a tissue when coughing or sneezing. Put your used tissue in the waste basket. Then, clean your hands, and do so every time you cough or sneeze. Employees who are well but who have an ill family member at home with 2009 H1N1 flu can go to work as usual. These employees should monitor their health every day, and take everyday precautions including covering their coughs and sneezes and washing their hands often with soap and water, especially after they cough or sneeze. If soap and water are not available, they should use an alcohol-based hand rub. * If they become ill, they should notify their supervisor and stay home. Employees who have an underlying medical condition or who are pregnant should call their health care provider for advice, because they might need to receive influenza antiviral drugs. Washing your hands often will help protect you from germs. CDC recommends that when you wash your hands — with soap and warm water — that you wash for 15 to 20 seconds. When soap and water are not available, alcohol-based disposable hand wipes or gel sanitizers may be used. * You can find them in most supermarkets and drugstores. If using gel, rub your hands until the gel is dry. The gel doesn’t need water to work; the alcohol in it kills the germs on your hands. What should I do if I have a fever? Fever can be one of the symptoms of a flu-like illness for many people. A fever is an oral temperature of at least 100 degrees Fahrenheit (37.8 degrees Celsius). Signs of a fever include chills, a flushed appearance, feeling very warm, or sweating. Fever-reducing medicines typically contain acetaminophen (such as Tylenol) or ibuprofen (such as Motrin). These medicines can both help bring fever down and relieve pain. Aspirin (acetylsalicylic acid)should not be given to children or teenagers (anyone aged 18 years and younger) who have flu; this can cause a rare but serious illness called Reye’s syndrome. To help avoid spreading the flu, if you have a fever, stay at home for at least 24 hours after you no longer have a fever or signs of a fever. However, if you’re taking fever-reducing medicines, you cannot tell if your fever is truly gone. Therefore, when you start to feel better, increase the interval between doses of fever-reducing medicines and continue to monitor your temperature to make sure your fever does not return. What are “emergency warning signs” that should signal anyone to seek medical care urgently? Yes. There are drugs your doctor may prescribe for treating both seasonal and 2009 H1N1 called “antiviral drugs.” These drugs can make you better faster and may also prevent serious complications. It’s very important that antiviral drugs be used early to treat flu in people who are very sick (for example people who are in the hospital) and people who are sick with flu and have a greater chance of getting serious flu complications .Other people may also be treated with antiviral drugs by their doctor this season. Most healthy people with flu, however, do not need to be treated with antiviral drugs. What is CDC’s recommendation regarding “swine flu parties”? “Swine flu parties” are gatherings during which people have close contact with a person who has 2009 H1N1 flu in order to become infected with the virus. The intent of these parties is for a person to become infected with what for many people has been a mild disease, in the hope of having natural immunity 2009 H1N1 flu virus that might circulate later and cause more severe disease. CDC does not recommend “swine flu parties” as a way to protect against 2009 H1N1 flu in the future. While the disease seen in the current 2009 H1N1 flu outbreak has been mild for many people, it has been severe and even fatal for others. There is no way to predict with certainty what the outcome will be for an individual or, equally important, for others to whom the intentionally infected person may spread the virus. Vaccination against 2009 H1N1 with a 2009 H1N1 vaccine is the best way to protect against this virus. Supplies of 2009 H1N1 vaccine are ample and CDC is now recommending that everyone get vaccinated. Influenza virus is destroyed by heat [75-100°C]). In addition, several chemical germicides, including chlorine, hydrogen peroxide, detergents (soap), iodophors (iodine-based antiseptics), and alcohols are effective against human influenza viruses if used in proper concentration for a sufficient length of time. *What if soap and water are not available and alcohol-based products are not allowed in my facility? If soap and water are not available and alcohol-based products are not allowed, other hand sanitizers that do not contain alcohol may be useful. No. 2009 H1N1 viruses are not spread by food. You cannot get infected with 2009 HIN1 from eating pork or pork products. Eating properly handled and cooked pork products is safe. What animals can be infected with the 2009 H1N1 virus? In addition to humans, live swine and turkeys, a small number of ferrets (which are highly susceptible to influenza A viruses), domestic cats and dogs have been infected with 2009 H1N1 virus. In addition, 2009 H1N1 virus infection was reported in a cheetah in the United States. CDC is working closely with domestic and international public and animal health partners to continually monitor reports of 2009 H1N1 in animals and will provide additional information to the public as it becomes available. How do pets become infected with 2009 H1N1? All available information suggests that the ferrets and domestic cats infected with 2009 H1N1 infections acquired the virus through close contact with ill humans. Can I get 2009 H1N1 influenza from my pet? Available evidence suggests that transmission has been from ill humans to their companion animals. No evidence is available to suggest that animals are infecting humans with 2009 H1N1 virus. What do I do if I am sick with flu-like symptoms and I have pets? What should I do if I suspect my pet has 2009 H1N1 influenza virus? If members of your household have flu-like symptoms, and your pet exhibits respiratory illness, contact your veterinarian. Is there a vaccine available for my pet? How serious is this disease in pets? Pet ferrets with naturally occurring 2009 H1N1 infection have exhibited illness similar in severity to that seen in ferrets exposed to seasonal influenza viruses and to 2009 H1N1 virus in laboratory settings. Clinical signs exhibited have included sneezing, inactivity, and weight loss. Of the reported cases, most of the pets have recovered fully with supportive care, although some have died. If you have any further questions, don’t hesitate to contact anytime your doctor in Alanya: +90 532 336 56 34, also available on Viber and WhatsApp. Heat stroke, also known as sunstroke, is a serious medical condition, a medical emergency, when the body’s temperature rises too high as a result of excessive heat exposure. The body loses its ability to cool itself and overheats. When a person’s body temperature is higher than 40.6°C and this is caused by environmental heat exposure with poor thermoregulation (temperature control), they have a heat stroke. Heat stroke is not a fever, where the body deliberately raises its temperature in response to, for example an infection. There are three levels of heat emergencies – heat cramps, heat exhaustion and heat stroke, with heat stroke being the most severe and life-threatening. What is the difference between a sign and a symptom? A symptom is felt by the patient and described to those around him or her, for example pain. A sign can be detected by others, for example, a skin rash. Unlike the symptoms of heat exhaustion, which can develop rapidly, heat stroke signs and symptoms generally develop over several days, especially among elderly individuals and people with chronic health problems. Heatstroke can develop rapidly in severe conditions and situations with extreme physical exertion (exertional heatstroke), especially if the person becomes dehydrated. Exertional heat stroke tends to affect young, physically active people more than sedentary or older individuals. A high temperature – temperature higher than 104°F (40°C). Heat stroke may be diagnosed at lower temperatures. Also, some people may reach these temperatures and never develop heatstroke. Profuse sweating that abruptly stops – when the body cannot sweat any more, as may happen in cases of severe dehydration, the skin will become dry. Without perspiration the body has no way of cooling itself. Hyperventilation. – rapid breathing, shallow panting. The skin becomes hot, dry and red. What are the causes of a heat stroke? When the body is unable to cool itself and it begins to overheat, heat stroke is a likely complication. The human body controls its core temperature (body temperature) by maintaining a tight balance between heat gain and heat loss. While we are resting normal core temperature ranges between 36.5°C and 37.5°C .The hypothalamus, a part of the brain, regulates our core temperature. The hypothalamus is sometimes called the body’s thermostat. There are several temperature receptors located in different parts of the body, to which the hypothalamus responds by making physiological adjustments to make sure the core temperature is constant. For example, temperature receptors in the skin tell the hypothalamus it is hot, which tells the sweat glands to produce more sweat. When we do exercise, thermoregulation (temperature control) is a continuous challenge. Metabolism produces heat. The human body is not that efficient – 75% of our energy is lost in heat. During exercise, our core temperature can rise rapidly. Our bodies have several ways of maintaining thermoregulation. Radiation – heat radiates out of our body in the same way it radiates our of a fire. Convection – when cool air or water crosses the skin the body is cooled. Conduction – an object that is at a lower temperatures than our body temperature comes into direct contact with our skin – it conducts (draws out) heat from our body. Evaporation – our bodies produce sweat, as the sweat evaporates it takes body heat with it. The normal temperature of the skin is 32°C -34°C. Any outside temperature above those ranges will result in the skin producing more sweat to cool the body down. Dehydration – excessive loss of water from the body. Wrong clothing – for sweat to evaporate and take heat with it, the skin must have contact with air. Tight clothing undermines sweat’s ability to evaporate, so the body cannot cool down properly. High humidity – the higher the atmospheric humidity, the slower water evaporates. In other words, when it is humid sweating is less effective in cooling down the body. The problem is compounded if it is very humid and there is no breeze. Classic heat stroke – more likely to occur during a heat wave or very hot weather. Babies, seniors and patients with chronic health conditions are more susceptible to classic heat stroke than the rest of the population. The hypothalamus in elderly individuals and those with chronic conditions and illnesses does not work as well as it should in regulating body temperature. Babies sweat less than older people, they are also more vulnerable to the effects of dehydration. Exertional heat stroke – occurs as a result of physical exertion, strenuous and sustained exercise in a hot environment. Exertional heat stroke tends to affect younger people more, especially athletes, firefighters and military personnel. Several medications can affect how the body regulates its core temperature, thus increasing the risk of heat stroke.For medication please call doctor in Alanya konaklimedical +905323365634 or visit alanyadoctorcall.com. What to do if you get bit? If you get bit from these insects, remain as calm and quiet as possible. Agitated motion will increase the spread of venom in the bloodstream. If you have been stung by a bee and the stinger is still in the skin, remove the stinger. For stings or bites on the arm or leg, lower the limb at the time of the incident to slow the spread of venom. If swelling is present, elevate the limb and ice the area to help reduce swelling. Some people can suffer from severe allergic reactions due to insect bites. 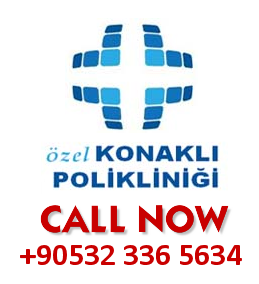 Call the doctor for Konakli, Avsallar, Okurcalar, Oba, Alanya (24 hours – 00905323365634 – Emergency via Whatsapp or Viber also free) if symptoms include difficulty in breathing, swelling of lips, tongue, eyelids and mucous membranes, light-headedness, nausea, and hives. These reactions can be serious and require immediate medical care! Was ist zu tun, wenn Sie gebissen wurden? Wenn Sie von diesen Tieren gebissen wurden, bleiben Sie so ruhig wie möglich. Hektische Bewegungen verstärken die Ausbreitung des Giftes in den Blutbahnen. Wenn Sie von einer Biene gestochen wurden und der Stachel noch in der Haut steckt, entfernen Sie diesen. Bei Stichen oder Bissen in den Armen oder Beinen senken Sie diese, um die Ausbreitung des Giftes in die Blutbahn zu verlangsamen. Bei Schwellungen lagern Sie die betroffene Region hoch und kühlen Sie sie mit Eis, um die Schwellung zu reduzieren. Manche Menschen reagieren allergisch auf gewisse Insektenstiche. 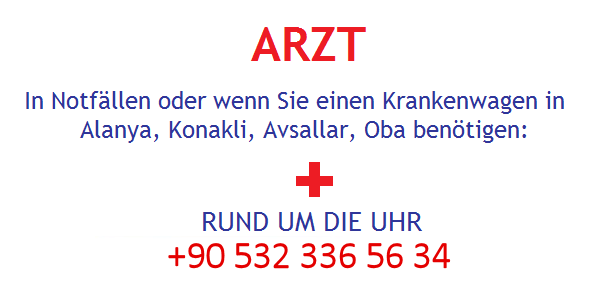 Rufen Sie schnellstmöglich den Arzt für Konakli, Avsallar, Okurcalar, Oba und Alanya (rund um die Uhr – 0090 532 336 56 34 – auch über WhatsApp und Viber verfügbar). Symptome dafür sind zum Beispiel Atembeschwerden, geschwollene Lippen, Augenlider, Schleimhäute oder Zunge, Benommenheit, Übelkeit oder Ausschläge. Diese Reaktionen können gefährlich werden und erfordern unverzüglich medizinische Hilfe! In the hot months or travelling to tropical towns like alanya,konakli,antalya,oba,avsallar,okurcalar gastroenteritis problems come up with a certain frequency in small children. The symptoms include abdominal colic, which can make the child not feel well and be agitated like with gas colic, liquid diarrhea with several bowel movements during the day, vomit, paleness and even fever. The causes of the discomfort can be various ones. It could be a strong sudden chill on his belly, maybe caused by a sudden temperature change. In the summer there are many malls and stores that keep their air-conditioning at almost polar temperatures. So it is important to always take a jumper to protect the child’s belly, if you decide to take the child in a place like this. What causes the symptoms, though, could also be his eating: a food excess or some food that was not kept well. Gastroenteritis can, at last, also be linked to a viral infection. Rotavirus, for example, is a micro organism that often causes forms of gastroenteritis in smaller children and that today can be avoided thanks to a specific vaccination. 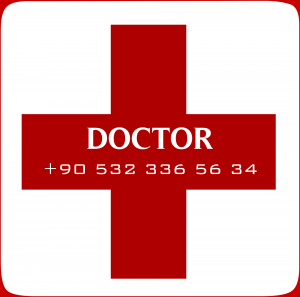 The doctor in konakli alanya oba avsallar will be able to inform you in a better way. In den Sommermonaten oder bei Reisen in warme Gebiete wie Alanya, Oba, Konakli und Umgebung tritt gerade bei kleinen Kindern häufig eine Magen-Darm-Grippe auf. Die Symptome sind Bauchkrämpfe, begleitet von Durchfall und Erbrechen, Übelkeit und manchmal sogar Fieber. Die Ursachen dafür sind verschieden. Plötzliche Temperaturwechsel, wenn Sie bei heißem Wetter in klimatisierte Geschäfte gehen, können eine Magen-Darm-Grippe auslösen. Daher ist es wichtig, gerade für Kinder immer einen Pullover oder eine Jacke dabei zu haben, um sie vor der Kälte zu schützen. Andere Gründe für eine Magen-Darm-Infektion können auch falsche Essgewohnheiten, verdorbene Nahrungsmittel oder eine Virusinfektion. Rotaviren zum Beispiel sind die häufigste Ursache von Durchfall bei Säuglingen und Kleinkindern. Übertragen wird das Virus über Fäkalien oder verseuchtes Wasser. Die Viren verursachen einen wässrigen Durchfall, oft auch Erbrechen und Fieber. Dabei werden den Körperzellen Flüssigkeit entzogen. Glücklicherweise können Sie sich heutzutage dagegen impfen lassen. Ihr Arzt in Alanya kann Sie dazu gerne beraten. Wenn die Symptome beginnen, können Sie einige Maßnahmen ergreifen, damit es Ihrem Kind besser geht und es schneller wieder gesund wird. Wenn Sie noch stillen, können Sie dies ohne Bedenken weiterhin tun, denn die Muttermilch enthält wirksame Antikörper, außerdem hilft auch die Flüssigkeitszufuhr. In jedem Falle ist es aber besser mit Ihrem Arzt in Alanya zu sprechen, bevor Sie die Initiative ergreifen. Als Alternative zur Milch können Sie auch eine Gemüsebrühe zubereiten. Bei Erbrechen ist es natürlich schwierig das Kind zu füttern. In diesem Fall ist die Meinung eines Arztes erforderlich. Um Übelkeit und das damit verbundene Risiko des Würgens zu vermeiden, können Sie das Kind für einige Sekunden an Ihrer Brust saugen lassen, so nimmt es kleine Mengen an Milch zu sich. Es ist wichtig, den Körper ständig mit Flüssigkeit zu versorgen. Sie können dem Kind auch einfach Wasser mit einer speziellen Lösung, die feuchtigkeitsspendene Salze enthält, verabreichen (wird Ihnen von Ihrem Arzt in Alanya verschrieben). Wenn das Kind trotz der Krankheit lebendig ist und regelmäßig in die Windel macht, können Sie sich entspannen, denn dies ist ein Zeichen, dass die Gesundheit des Kindes auf dem Weg der Besserung ist. Call +90 532 336 56 34 7 Days/24 Hours An emergency is a situation that poses an immediate risk to health, life, property or environment.Most emergencies require urgent intervention to prevent a worsening of the situation, although in some situations, mitigation may not be possible and agencies may only be able to offer palliative care for the aftermath. While some emergencies are self evident (such as a natural disaster that threatens many lives), many smaller incidents require the subjective opinion of an observer (or affected party) in order to decide whether it qualifies as an emergency. The precise definition of an emergency, the agencies involved and the procedures used, vary by jurisdiction, and this is usually set by the government, whose agencies (emergency doctor Arzt services) are responsible for emergency planning and management. İn Alanya,Konakli,Oba,Avsallar area if you have any emergency health problem or if you need doctor –Arzt or ambulance you can call us +905323365634 immediately for medical help. 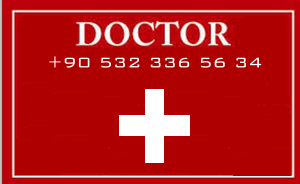 Rufen Sie rund um die Uhr diese Nummer an +90 532 336 56 34 falls Sie einen Arzt oder einen Krankenwagen brauchen. Ein Notfall stellt eine unmittelbare Gefahr für die Gesundheit, die Umgebung oder sogar das Leben dar und erfordert sofortiges Handeln, um Schlimmeres zu verhindern. Wir sind 365 Tage im Jahr 24 Stunden am Tag für Sie da. If you need doctor KONAKLI ALANYA or if you need in Konakli ALANYA doctor or Ambulance ARZT …It’s to provide the advanced medical care in first step in the Hotels, with the highest International quality standards and ethical norms; using the advanced health care resources for serving the well being of our patients and to fulfill their expectations, with the aim of sending them back to their country healthy and satisfied. 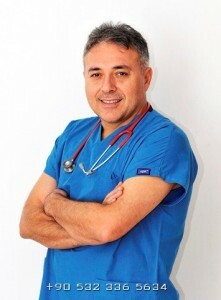 Wenn Sie einen Arzt in Alanya, Konakli, Avsallar oder Oba benötigen, rufen Sie uns an. Wir sind dafür da, zum Beispiel in Ihrem Hotel erste Hilfe zu leisten, wenn Sie diese benötigen. Wir arbeiten nach höchsten internationalen Standards und an erster Stelle steht bei uns das Wohl des Patienten. Unser Ziel ist es, Ihre Erwartungen zu erfüllen und Sie gesund wieder nach Hause schicken zu können. Ask Free Follow-up Questions. 7/24 Online. Stellen Sie Ihre Fragen – wir sind rund um die Uhr für Sie online. Falls Ihre Reisepläne einen Aufenthalt in Alanya, Konakli, Avsallar oder Oba beinhalten, gibt es vor der Abreise einige Dinge zu erledigen. Neben den grundsätzlichen Sachen wie den Reisepass oder das Visum zu beantragen, Tickets zu reservieren und eine Unterkunft zu buchen, sollten Sie auch an Ihre Gesundheit denken. Das heißt Sie sollten gegebenfalls notwendige Medikamente einpacken und sich schon einmal darüber informieren, wo Sie im Notfall einen deutschsprachigen Arzt in Alanya finden. 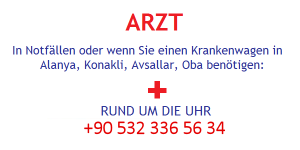 Suchen Sie sich für den Notfall einen deutschsprachigen Arzt in Alanya vor Ihrer Reise! 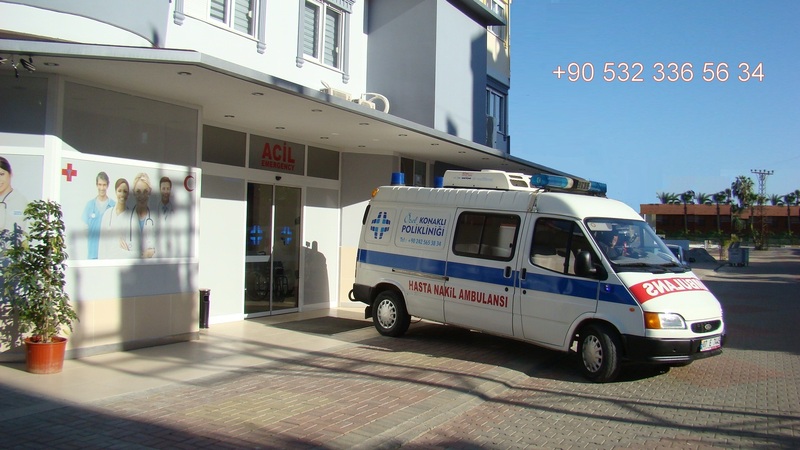 Finden Sie einen Arzt in Alanya, Oba, Avsallar, Konakli, Cikcilli. TheDas Letzte, was Sie im Falle eines Notfalls brauchen, ist die zeitaufwendige Suche nach einem deutschsprachigen Arzt in Alanya. Dies ist besonders wichtig, wenn Sie bereits gesundheitliche Probleme haben, bei denen eine regelmäßige Untersuchung oder Betreuung notwendig ist. Informieren Sie sich auf unserer Webseite konaklimedical.com bevor Sie abreisen. Besorgen Sie sich einen guten Reiseführer für die Gegend, wo Sie Ihren Urlaub verbringen. oAm besten einen, der auch Informationen für medizinische Notfälle und wichtige Telefonnummern für Touristen enthält. Willkommen in unserer Klinik: im ALANYA – KONAKLI MEDICAL CENTER!